Established in 1991, Image Direct has grown to be a major office solutions provider in London and the South East as a result of developing long term relationships with clients seeking to streamline and improve their supply arrangements. Image Direct contacted us on behalf of its client, MUFG, which comprises a diverse range of companies (including Bank of Tokyo-Mitsubishi, Japan’s largest bank). 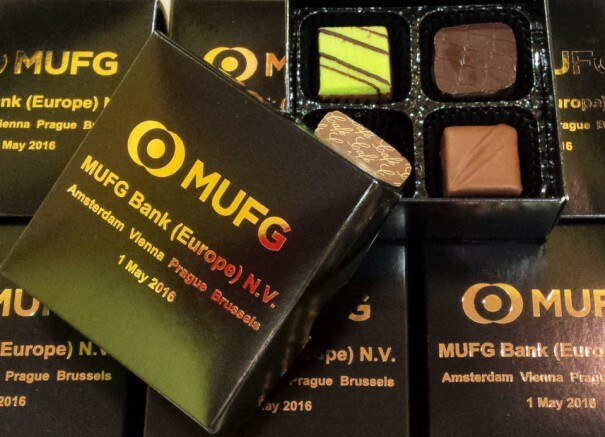 MUFG needed personalised chocolate gifts for an event in Amsterdam and asked Image Direct to provide a high quality solution. We recommended our four-chocolate premium range box, with the MUFG logo foil-printed on the lid. A black box, foil-printed with a strong logo in gold, is both a timeless and effective branding solution that provides immediate visual impact. Foil-printing is an economical way to print a logo directly on a box, and particularly suited for volumes below 2500 chocolate gift boxes. We despatched the order direct to MUFG’s Amsterdam offices in good time for their event in case of Customs delays. As we have packaging solutions designed specifically to fit our products, we can save our clients time and hassle by delivering most international corporate chocolate orders direct to the event venue. Direct delivery also ensures that our luxury chocolates spend as little time as possible in transit. We even track our deliveries and notify safe receipt to our clients – it’s all part of our service. To find out more about Image Direct click here. Why not call our Sales Team on 0121 314 3472 to find out why our handmade luxury chocolates are the ideal solution for your next event? 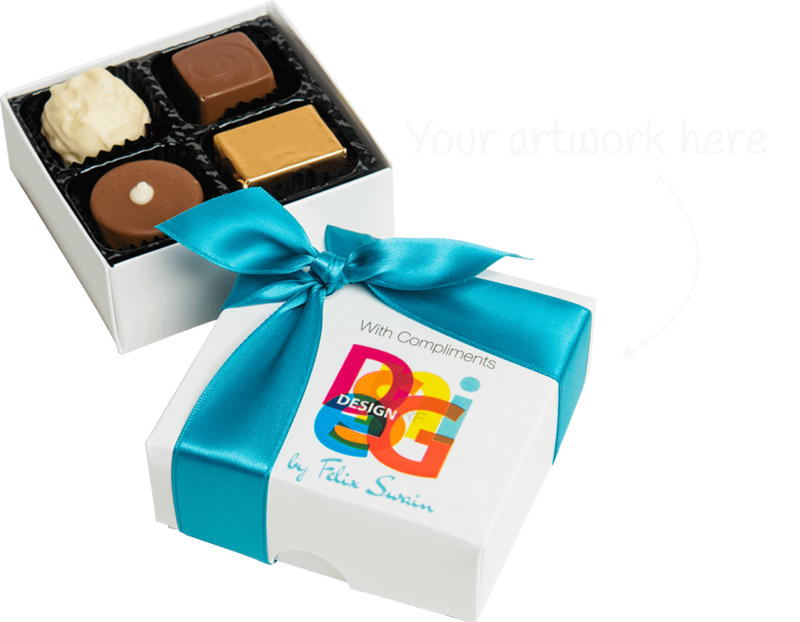 There’s no minimum order quantity and we offer branded chocolate gifts to suit most budgets. Or request a quote and sample here.